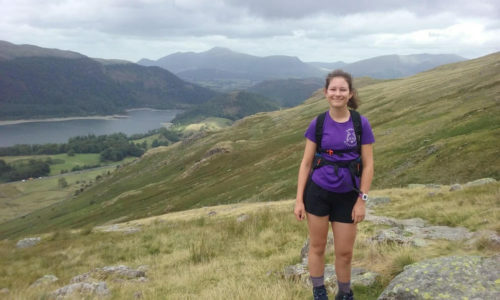 The Lakes 5-Days is a multi-day event held every four years down in the Lake District. This year Mum and I decided to head down for a week and give it a go! I’d previously spent a weekend training in the Lakes last November and so was excited for the five races. 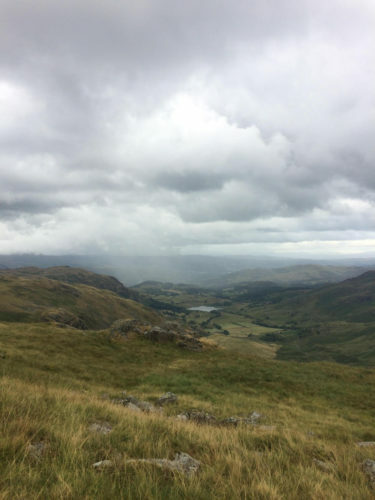 We arrived down in Ambleside the day before the first day of racing, and so I jumped on this opportunity to have a run round one of the training courses set out on the fell, Pike o’ Blisco. It was a pretty dreich day, but the path up to the summit of the hill was too tempting to turn down, so I ran up to the top (conveniently bagging my first Wainwright of the trip!) and then began the course. The terrain was runnable, very rocky and quite intricate in places, and so it took me a while to get into the map. This training gave me a great confidence boost for the races and was just a lot of fun - potentially the first time I’ve ever felt intimidated by a training course as I was alone on this vast hillside in some less than ideal weather conditions! Day 2 was another insanely cool fell, called Angle Tarn Pikes. This has got to be one of my favourite races I’ve done in terms of enjoyment! I started well, however I wasn’t able to commit to my routechoices and ended losing a fair amount of time from hesitating and getting too excited by running along nice trails! This meant I lost confidence in the second half and was pretty annoyed at my result as I knew I could do better. Mum had a good run, with a few mistakes, but she enjoyed being out, taking pictures and speaking to locals as well as the orienteering! The first forest day was Whinlatter on day 3 - the map didn’t look very inspiring at assembly, but the course was well planned which kept things interesting! Again, I had a messy race with many problems originating from bad compass and direction - rookie mistakes which lost me a lot of time. Although I was again disappointed with this result, I was still really looking forward to the last 2 days and remained confident I could get some good results. After the three days of racing there was a well earned rest day, where I walked up Helvellyn with my Dad. My legs were thankful for the day off running, and it was great to see more of the Lakes. Day 4 was at Askham Fell, and after some snooping online at an old map, it became quickly apparent that this was unlike the other fell days. The terrain was relatively flat, with lots of paths and depressions scattered all over the place. From the start I quickly realised that this was going to be a quick 6km, and so tried to push hard from the start, which was tougher than the other days in the significantly hotter weather! I had a few sketchy bearings, but after catching my 4min-runner at control 8 I felt confident in my navigation to take the lead and pull away up to the finish. I felt a lot more satisfied with this race, and it was almost the best I could have done on the day; however I just didn’t have the speed of the girls ahead of me to gain anymore positions results-wise. The final race was at Dale Park, Graythwaite, a very detailed forest which gave the short courses a lot of climb. For this race my main focus was to keep my concentration high, which I mostly achieved; however I made a big error on control 6, losing me 2mins and dropping me a lot of places. I was again annoyed at myself at the mistake, but I’m pleased with how I managed to regain focus for the rest of the course. 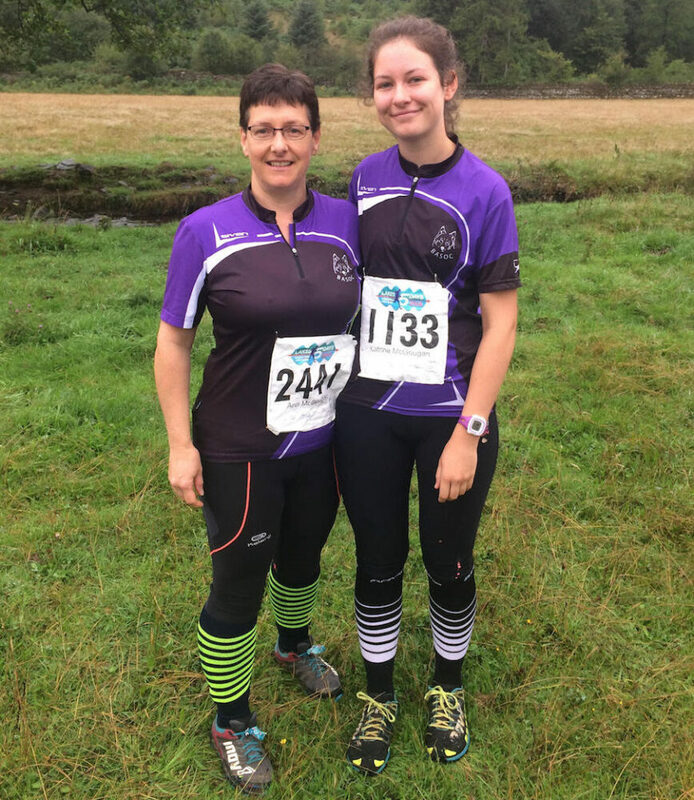 Mum also raced today, but the tricky terrain caught her out; however as it is very different to Speyside it was a great experience. After the best 4 out of 5 races to count, I ended up 5th overall on W18L, which is a decent result however not what I was looking for. The event was a great one to attend, with the first 2 days being some of the best orienteering I’ve ever done! It was well organised and a great challenge for all. A huge thank you to all organising clubs and volunteers who made the event happen! Note: if the area is almost completely open fell (Days 1, 2 and 4), then this is shown as 'white' on the map. We would usually have these areas mapped as 'rough open' = pale yellow.